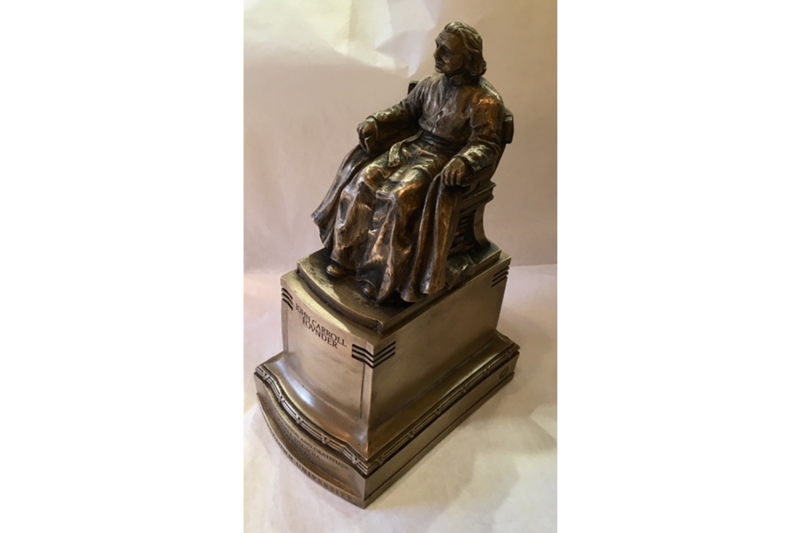 We were very honored to be commissioned to recreate models of Georgetown University’s Founder, Cardinal John Carroll, inspired by the sculpture on their campus. These were created for the exclusive use of Georgetown’s President. These models are not available for purchase online or in the university bookstore. The models were produced in bronze and Resin. They are very finely detailed, using age-old craftsman skills. In selecting these gifts, Georgetown’s founder’s spirit was captured and honored. The model emotionally connects the recipient to a glorious period in their life, either attending or visiting Georgetown University. The gift also works as a subliminal reminder of that special time, when displayed at the home or office of the recipient. Ready to start your own gifting project?